So honored today to recieve a note from Alma ( Mrs. Colin) Powell endorsing MARCH WITH ME. What especially touched me was that she thought I must have been there because it was so "realistic and authentic". I work very hard on my researching and her comments were a great reward. She's the second African-American to say my voice was "authentic". Touched my heart! 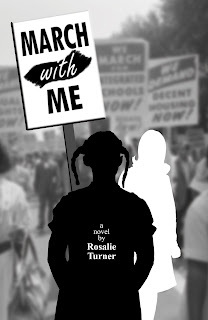 MARCH WITH ME will be released on March 15, 2013.